To contact John at KATTA UK you can email knifeaxetomahawk@gmail.com or call 07764 602876. If the weather is foul on a meet day, please text before you travel to make sure we’re open. We usually will be – there is shelter, a firepit and some under-cover throwing lanes. Plus, we’re rugged mountain men and women of the knife! Some more rugged than others. 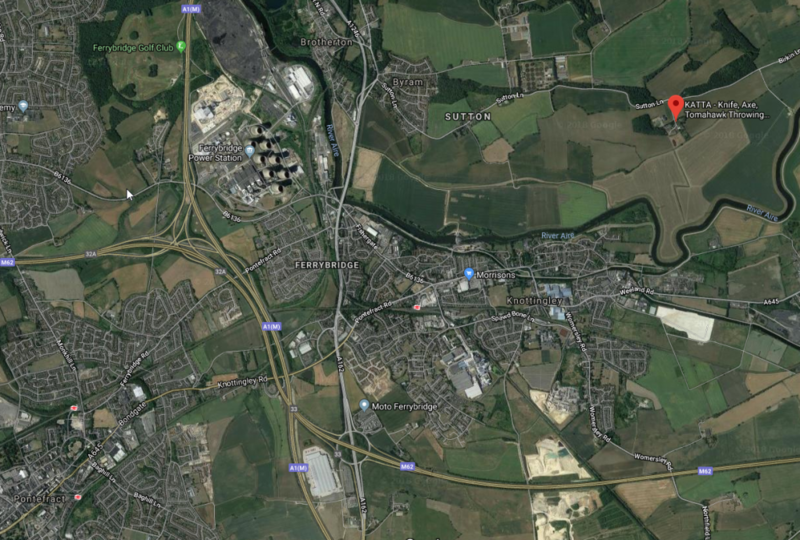 We meet here: Bedlam Paintball/Airsoft Site, Brotherton, Pontefract, West Yorkshire, WF11 9LZ. If you put WF11 9LZ in your sat nav you may should end up at a farm with large green biomass silos. 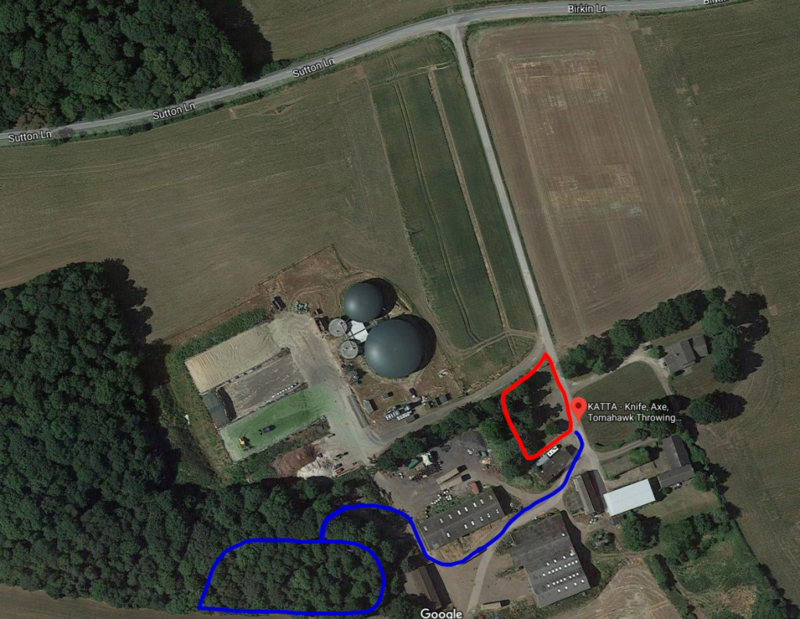 Park in the area marked in red on the map below then follow the blue line to the woods. We share the entrance to the site with an Airsoft business but the knife and axe throwing is behind their HQ and perfectly safe. Any problems, just ring John. Another great way to get in touch is through our popular and active Facebook group, UK Knife Axe Tomahawk Throwers Association. Join us today!